It was my first day of classes at the vaunted UC Berkeley, and I was determined to make a good showing of myself. I was sitting near the front of a small classroom in Latimer, I had my notes out and ready to go, and I was getting to know the other students sitting around me. I was all set up for a good start to my college career. Just the previous night, I’d gotten an email stating that Wednesday’s discussion would be canceled, as the first lecture of the semester was scheduled for the next day. Of course, I figured I would go to section anyway, if only because of my resounding paranoia about the limited scope of the subject header “Calculus” — I was specifically in Math 1B, damn it! At the very least, I could explore campus a bit and figure out where all my classes were supposed to be. Well, it’s only paranoia if you’re wrong, I thought smugly, as the GSI explained that because we wouldn’t have lecture until tomorrow, we would only be going over some basic review today. Warning sirens started going off in my head as I noticed that the GSI was adding fractions on the board. Okay, this is actually some pretty far back review, I thought. Isn’t that precalculus? And then as I promptly got two-thirds of those review questions wrong, I realized: Wow, I haven’t done math in a long time. I guess I really do need this. This college education system is really on top of things. Still feeling an edge of unease in the corner of my mind, I double- and triple-checked the schedule I’d written down before (not so) sneakily opening up CalCentral on my phone. The quiet, heartfelt stream of profanity caught the attention of one of the students I had become nominally acquainted with in the past half hour or so. I mutely shrunk deeper into my seat, figuring I might as well just sit through the consequences. This bout of self pity lasted about as long as it took for all my immediate neighbors to realize my predicament, and after some quietly frenzied encouragement, I grabbed my stuff and rushed out of the room with a significantly louder burst of obscenities. I’m not entirely sure how the rest of the class took that. 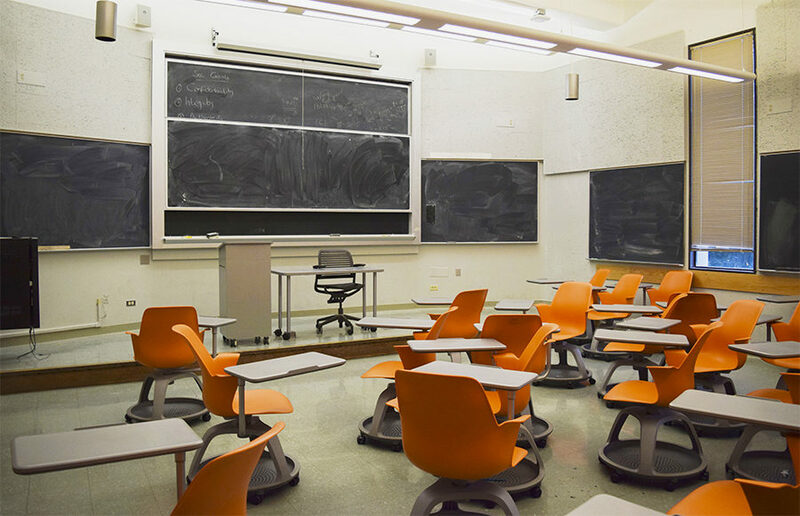 After a subjective lifetime staring into the empty classroom next door, I silently slunk back and sat in the back through the rest of what wasn’t my discussion. Well, I’m already here, I thought. Might as well learn something.